In order to change the name of a minor, anyone under the age of 16, you need to have Parental Responsibility for them and you also need the consent/permission of anyone else who may also have Parental Responsibility for them. So, What is Parental Responsibility? Parental responsibility is defined as 'all the rights, duties, powers, responsibilities and authority which by law a parent of a child has in relation to the child'. Sole Parental Responsibility:In this case just one person has legal responsibility for the child. You do not need anyone else to consent in order to change the name of the child. Joint Parental Responsibility:In this case two or more people share the legal responsibility for the child. You need the consent of other people with parental responsibility. If they do not give consent, they could contest the change of name at a later stage. In this case it is better to get their consent and avoid potential problems early. The type of parental responsibility held depends upon whether the parents have ever been married, and where and when the child’s birth was registered. Mother The mother normally has parental responsibility for her child from the time of birth of the child. This parental responsibility may be sole or joint with someone else. Married Fathers:If a father is married to the mother at the time of the birth (or at the time of conception in Scotland), or has married the mother at some time since the birth of the child then the father has parental responsibility. He does not lose his parental responsibility for the child if he and the mother divorce, separate or remarry. -Unmarried Father:child's birth registered in England or Wales… If the child’s birth was registered on or after 1st December 2003 and the father’s name is on the birth certificate, then he has parental responsibility for the child. -Unmarried father:child's birth registered in Scotland… If the child’s birth was registered on or after 4th May 2006 and the father was present to register his name on the child’s birth certificate, then he has parental responsibility for the child. Where a father has regular and frequent contact with the child, even if he does not have parental responsibility rights, it is best to obtain his consent to the child’s change of name so as to avoid conflict and challenge to the change of name later. If there is no such contact between the father and the child, the father without parental responsibility is less likely to successfully challenge the change of name of the child through the courts. If you feel that the father may challenge the child’s name change then you would be best advised to apply to the courts for permission to change your child’s name without the father’s agreement. Step-fathers A step-father can acquire parental responsibility by order of the court (in England or Wales), or the court can award him a Custody or Residence Order or make him a legal guardian. He also acquires parental responsibility if he adopts the child or signs a Parental Responsibility Agreement with the mother. Adoptive parents Adoptive parents acquire automatic joint parental responsibility when the placement of the child is finalised. They would not need a Deed Poll to change the surname of the child since the adoption papers will cover this for them. If however, they decide to change the child’s name after the adoption process then they will need a Deed Poll to change the child’s name. People other than parents Any adult who obtains a Residence Order determining where a child will live or any adult who is appointed as a child’s guardian will have parental responsibility rights. These are usually shared with one or both parents. You can change the name of a child under 16 years of age if you have parental responsibility for the child. If you have sole parental responsibility for your child you do not need anyone else to give permission for you to change your child’s name. We provide template letters confirming that you have sole parental responsibility for the child and request forms for changing your child’s name. You simply sign these and show them with the Deed Poll to the organisation holding the child’s record and get the child’s details changed. If another adult shares legal parental responsibility for the child, for example the child’s father or legal guardian, you would need to make sure that they agree to the child’s name being changed. When using your child’s Deed Poll to have the child’s name changed on various records you will need the parental consent form/letter and a letter requesting the name change. We provide these as a courtesy, free of charge, when you apply for one of our Child Deed Poll documents. If you don’t know the whereabouts of the other parent or legal guardian, or there are very clear and strong reasons why you are unable to obtain their consent, you may produce a letter stating your own consent to the child’s change of name and explaining the circumstances. We provide this letter within our general templates, free of charge when you apply for our Child Deed Poll. 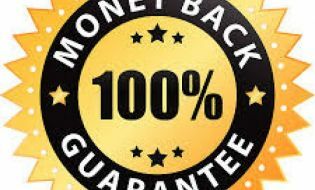 We guarantee our Deed Poll with a Full 100% Money Back Guarantee; however, you need to ensure that you have the appropriate parental responsibility to undertake the change of name for your child. We do not guarantee the name you choose for yourself or your child and we do not guarantee the consent forms or templates and their usage. We provide these free of charge for your convenience and as is. You need to ensure that you use the appropriate template for your particular circumstances, and with all the good will in the world we cannot know your circumstance and your usage of the material we provide for your convenience, free of charge. However, the forms and templates are fairly straight forward and if used appropriately should cover all known circumstances.